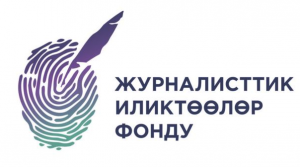 Independent mass media and journalists of Central Asia face with many difficulties, including outdated technologies of news editorial work and professional skills, weak presence in the network, insignificant coverage of regional and world news as well as low advertising revenues. The “Internews” implemented project is aimed to strengthen independent media in Kazakhstan, Kyrgyzstan and Tajikistan is aimed to improve citizen’s access to objective information about local and world publicly important news through improving the skills of independent media, interacting with a larger audience of printed and online products. “Internews” is working on «Open Asia Online» by providing practical trainings for journalists and creating a new dynamic online news platform, to improve the quality of both Kyrgyz and Russian languages media, access to reliable and unbiased information, as well as the sustainable development and improvement of digital security of partner media.